These pictures were taken from a customer of mine, Ms. Soh. This was a rush order and I had to mail it to Johor at a very last minute. I'm glad she likes this wedding invitation card design. 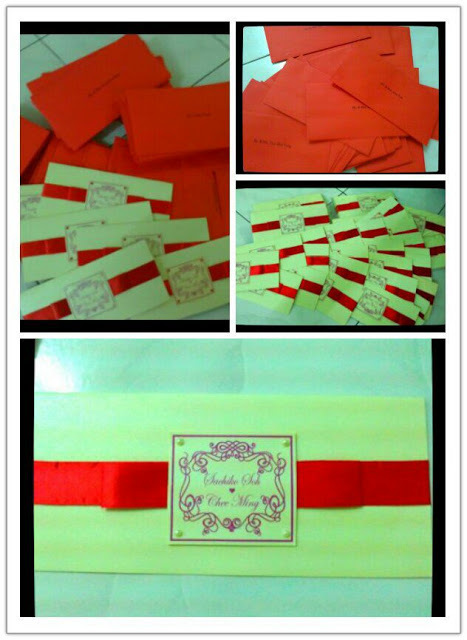 To inquire about this boarding pass travel invitation card, please contact us for the quotation. Thank you!